The iPad mini with Retina screen is everything the little tablet deserved to be - a more compact equal of the bigger iPad with no compromises made. And unfortunately, it's just one thing short of what we all thought a compact tablet should be - cheap. Well, Apple isn't exactly known for selling cheap, it's quite on the contrary. 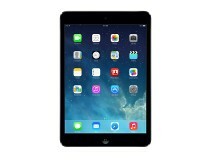 Last year's iPad mini was more of a byproduct of the iPad lineup - with a significantly cheaper price, a different design and somewhat inferior hardware, the baby iPad was quite different to its full size sibling. This year marks a shift in Apple's product strategy. Now, the two new iPads are equals - with the mini being merely a scaled down version of the same spectacular screen tech and the same high-performance internals. There's been no corner cutting this time and the new iPad mini is more expensive as a result. We guess the price hike comes only to highlight the iPad mini's new standing in the pecking order - it's no longer the budget option - it's the more portable version of the same flagship product. 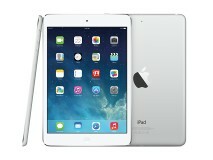 A lower price point would have also hurt the big iPad sales because the two tablets are not at all that different. You would actually be amazed how identical the two look. But that's a good thing in a sense. Users no longer have to pick one of the two based on feature set or design, or bezel size for that matter. Now, you can just pick the size that's right for you. The high-end user experience is all there without any give or take. Comparing it to its predecessor, the Apple iPad mini with Retina screen looks no different either, but that's until you turn it on. The new screen is impressively sharp and the new chipset is blazing fast, meaning loading times in most apps are noticeably faster now. The Wi-Fi speeds have doubled, there is a seriously bigger battery inside, there is a second mic for noise cancellation and now you have a brand new 128GB version, if you've got the money to burn - the last generation iPad mini maxed out at 64GB. iOS 7 with gesture support and a premium set of free Apple apps - iLife, iMovie, iPhoto, etc. The new iPad mini is exactly the same size like last year's with a mere .3mm difference in thickness. You wouldn't feel that sort of difference even if you had both in your hands. What you may notice is the difference in weight. The new iPad mini is 23g heavier to accommodate the larger battery, which should deliver the same endurance despite the quadrupled resolution. The new dual-core 64-bit A7 chipset inside the new mini jumps two generations ahead of the A5 processor in the original. It's not that the older mini was sluggish, but the new device is notably faster and more responsive in almost all apps we tried. Last season's bigger iPad at least had the luxury of being more powerful but those days are gone. Now the two size of iPads have equally good specs, which kinda puts the iPad Air in a sticky position. 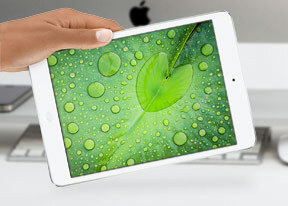 It's true that the bigger Air is easier to carry than any other full-size iPad and the slimmer frame helps single-handed operation but there's no avoiding the fact that the iPad mini is the friendlier form factor. The iPad mini's handling and portability could be the big decider for a lot of people who are eyeing a new iPad for Christmas. To be honest, we don't think Apple will mind no matter which one you pick. Yet, it's still up to the mini to prove itself as a true equal to the big gun. And so it will. Join us ahead where we intend to subject it to every test we have around our test lab. This shorty will not be getting off easy, we promise. Does this ipad support whatsapp messenger ?? U wana knw the quality of an ipad just hold it once in ur palms nd try not to get blown away by it.